Picotimes No. 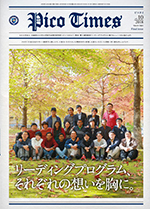 10 (Final issue) was published. Picotimes No. 9 was published. Picotimes No. 8 was published. Picotimes No. 7 was published. Picotimes No. 6 was published. 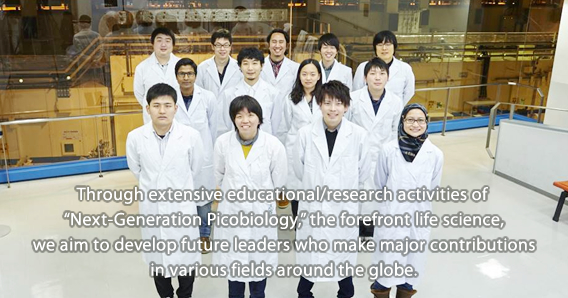 Information on the entrance examination (for admission in April 2016) for the Picobiology Course, Graduate School of Life Science is now available. 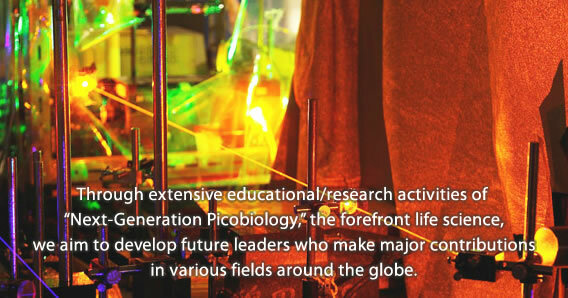 Information on the entrance examination (for admission in April 2014) for the Picobiology Course, Graduate School of Life Science is now available. The announcement about a leading program. 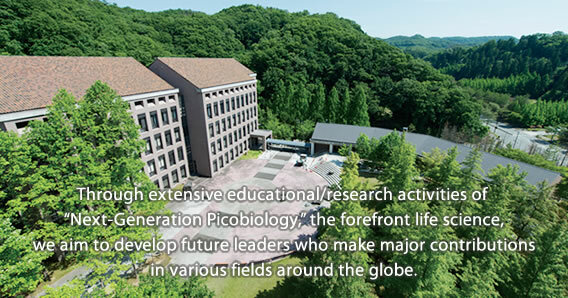 Information on the entrance examination (for admission in April 2013) for the Picobiology Course, Graduate School of Life Science is now available. The first faculty meeting was held at the Koto Campus, University of Hyogo. The Ministry of Education, Culture, Sports, Science, and Technology adopted our project as Only-One Type, one of the Leading Programs in Doctoral Education. I joined the SGI (Silicon Graphics International), Japan, for my one-month internship. SGI is a vendor of supercomputers, whose headquarters are located in the US. Although I usually use some supercomputers to perform my research, the internship provided me a distinct viewpoint on supercomputers. For example, I understood the provision of services to support scientists��work by developing new software systems. Thereby, I have understood that the latest advanced technologies on the architectures of hardware and software for supercomputers are definitely indispensable for all the advanced science and technology fields. This was my important experience during my internship, and was very fruitful to me. So, I thank all who helped me during the internship in the company. An aim of the internship in this leading program is to train for the skills that we need in order to be a global leader in the future. I joined the Advanced Telecommunications Research International Institute (ATR), and conducted an analysis employing a machine learning technique. This internship has made me aware that, first, it is important to understand each other and share the policies among people who major in different subjects and second, how to identify problems and solve those problems. as I mentioned above, the basic and comprehensive understandings on various interdisciplinary fields are essential for discussions with people of distinct fields. In the summer of 2014, I was allowed to participate in a one-month internship program in RIKEN's Computational Science Research Organization. Although researchers were faithfully engaged in work such as programming during work hours, they were flexible in responding to my questions. Furthermore, during lunch time, everyone participated in lively discussions about research and daily life. I felt that researchers not only need expertise but also flexibility and patience. 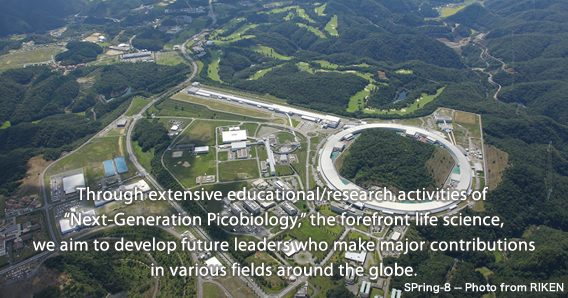 Another resource available in the program is The Museum of Nature and Human Activities, Hyogo, commonly known as the "Human Museum," which is a research sector of the university. It is known for its focus on lifelong learning support to a number of researchers, and I am also interested in exploring learning support here. Through training, I could learn about the role of a museum, how it interacts with the community, and its initiatives as a learning hub. This training enabled me to formulate concrete ideas from what I had vaguely been considering, such as my wish to engage in hands-on education using micro-organisms in the future. In Euglena Co., Ltd., where I was accepted as an intern, I worked primarily in tasks related to research and development. I learned a lot about the differences in way of thinking between research in industry and that in academia through this experience and also about actual business operations in a venture company. In addition, I learned firsthand the significance of dialogue among employees and between corporations, as well as the importance of delivering results in a limited amount of time based on an accurate understanding of the mission assigned. During the internship, I met people working in different fields. Moreover, we were required to do different things. Further, we had little in common, although I could have learned many things from them. From this experience, I realized that communication is dependent on common things. This experience made me confident about communication with a stranger. I believe that this confidence will give me further opportunities in the future. Kyushu Pet Food Company fortunately accepted me as an intern. I practically experienced the main operations of the company such as production, packing, quality control, and development. In particular, in the development department, I got the opportunity to learn about things that I did not know as a consumer; for example, cost, packaging, maintaining product quality, and style. This internship helped me learn the perspective of a producer. This experience will surely help me in the future. General Healthcare Inc. will propel the development of science and medicine by creating a smooth flow of new scientific information around the world, contribute to the further development of medicine, life science, healthcare, and rehabilitation, and provide an abundant life to people around the world. I participated in this company's internship program since I was (and still am) interested in the popularization of scientific knowledge. During the internship, I was mainly engaged in the activation of ��ROPE,��a website that distributes scientific information. This experience gave me an insight into new business development and an opportunity to be a part of a venture company. In the sweltering summer in Kyoto, I had precious opportunities to deeply consider my future. In August 2015, I interned at HORIBA, Ltd., where I worked in research and development. I had plenty of opportunities to talk with different kinds of people and to attend meetings held there. I noticed many differences between what happens in industry and what is taught in universities. I will introspect and find out what I should prioritize in my life using this experience as a reference. I have done my internship in Chinese Jilin Center For Disease Control and Prevention last year. I gained knowledge on leadership skills from this internship experience. My regular routine during the internship was similar to what I learned in research life, such as conducting some test for meat production and submit a report for test results. However, I realized the importance of communication when I was asked to convey the information to the other company. A good communication could help the people work better and explain the problem clearly to the coworkers. In 2015 summer, I was fortunate enough to finish my internship in the Supercomputer K. In this facility, I was assigned a project to implement the PSO algorithm to their quantum mechanism calculation program. This internship taught me the difference between engineering projects and fundamental science research. The former one is a strict target-oriented procedure, every part of gearwheel is at service for the designated target, no such things as ��egative results are helpful results�� But in science research region, the hypothesis guides the path. Any different approach methods may also lead to various interesting discovery. This truth-oriented procedure with the exploration and the uncertainty is necessary and much more exciting, sometimes may even more meaningful. I had the privilege to do my internship in Suntory World Research Center. This 6 weeks journey was something beyond my expectation. 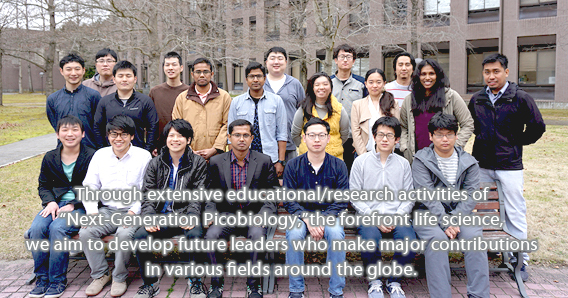 I was working closely with the yeast molecular biology team. I was able to see a research environment different from educational research. I had lectures on many current projects carried out in Suntory. I could realize the innovative skills of each individual to come up with new ideas to make their products unique and presentable to society. Apart from research, the hospitality I received from all the working colleagues was unbelievably great. This was an opportunity for me to experience culture and working ethics in Japan. Internship at Hospital Sultan Haji Ahmad Shah��s like a dream comes true��when I had a chance to experience how to be an intern in a big hospital! From 3rd July to 14th August, I was given a chance to do my internship at one of the advanced hospitals in Malaysia, Hospital Sultan Haji Ahmad Shah, located in Pahang state. This is a really good opportunity for students to learn and experience real working field in a government sector. The hospital is located at the heart of Pahang state and makes it easy and fast to access in case of emergency case. There is Pathology department in the hospital that lead by Dr Noor Suhaila were the main objective of the department is to analyze biological samples taken from the patients. Besides learning various microbiology techniques during hands task, I also learned how to improve my soft skills, such as communication, leadership, social, language and interpersonal skills. I will not be able to learn these soft skills in laboratory or classes in the university.